Don’t wait until the sun starts blazing, or the cold weather drops to freezing temperatures for HVAC assistance. Let ABC Heating and Air Conditioning keep your desired degrees of indoor comfort at the levels you’re accustomed to! Our family owned and operated company has provided prompt and professional HVAC services in Orange County—since 1952. The trustworthy and reliable technicians on our team are completely capable of handling your HVAC needs—no matter the size or scope of your request. Call (949) 756-0064 to request your free estimate from ABC Heating and Air Conditioning today! Why Choose ABC Heating & Air Conditioning? Call ABC Heating and Air Conditioning when your home needs general HVAC repairs, you’re in need of a new heater replacement, or your AC is overdue for an upgrade. Backed by over 65 years of experience in the OC, the solid rapport we’ve built throughout Orange County has allowed us to develop life-lasting relationships with our customers, and their families. Keeping you breezy in the summer and cozy in the winter becomes our top priority when our services are requested. 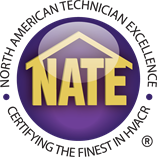 Our technicians stay ahead of the curve on the latest advancements in technology, equipping them with the concrete ability to service the newest HVAC systems. They were prompt, they answered their phone the first try, they set up an appointment the NEXT DAY, they were timely to their appointment M. L.